Fractured – a Free Kindle Dark Romance of the Day! Fractured by Elle Charles, Rachelle Gould-Harris. Price: Free. Genre: Dark Romance, Suspense, Literature & Fiction, Romantic Suspense, Contemporary, Romantic, Contemporary Women, Women’s Fiction. Rated: 4 stars on 37 Reviews. 326 pages. ASIN: B00K6WS0HC. Posted on April 25, 2016 Categories UncategorizedLeave a comment on Fractured – a Free Kindle Dark Romance of the Day! 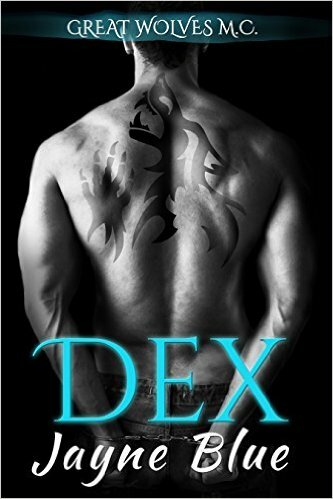 Lex, an Excellent Free Kindle Dark Romance for Friday Evening! ***LEX: (Unconventional Gay LGBT Romance) by S.K. Logsdon, LTE Editing, Anna Coy. Price: Free. Genre: Romantic Erotica of the Day, Contemporary, Gay Romance, Transgender Romance, Dark Romance. Rated: 4.7 stars on 92 Reviews. 482 pages. ASIN: B00K1T42ZO. Posted on April 15, 2016 Categories Free dark romanceLeave a comment on Lex, an Excellent Free Kindle Dark Romance for Friday Evening! Free Kindle Dark Romance, Steamy Romance Deal – Grab it Below! Excellent Free Motorcycle Club Steamy of the Day! Free Steamy Romance + Dark Romance of the Day! **Dex: MC Biker Romance (Great Wolves Motorcycle Club Book 1) by Jayne Blue. Price: Free. Genre: Steamy Romance of the Day, Sponsor, Dark Romance, Action & Adventure, Contemporary Women, Romantic Suspense, Women’s Fiction. Rated: 4.7 stars on 46 Reviews. 276 pages. ASIN: B00WYDI260. Reviewers love it: Awesome! This book kept me flying through the pages! The fluid story makes the brain work hard to put together the small pieces of the puzzle as you read along. 10+ stars! I couldn’t put it down! It is another addition to my growing Jayne Blue library! Posted on April 1, 2016 Categories UncategorizedLeave a comment on Free Kindle Dark Romance, Steamy Romance Deal – Grab it Below!